It was about 9:40 AM as I was biking my way to my morning language class when I noticed a long line of people outside of a massive building. What are these people waiting for? 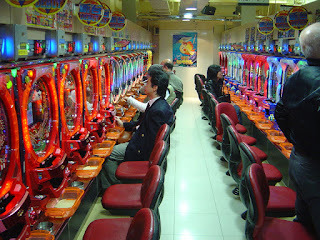 They were the dedicated followers of Japan's biggest casino-like craze known as Pachinko. Pachinko is Japan's closest resemblance to legalized gambling. A mix of pinball, slot-machine, and video game all with the piercing loud sounds of something like a chaotic battleground encompass the user! ( https://www.youtube.com/watch?v=K4ITrsWiyvk ) This addicting adrenaline rush keeps the hapless user coming back for more. Anyone recalling our missionary presentation given in America will remember the mention of Pachinko. Why is it so popular? My thoughts are that for many it is an escape from the monotonous everyday life of the average Japanese person who does not know God. 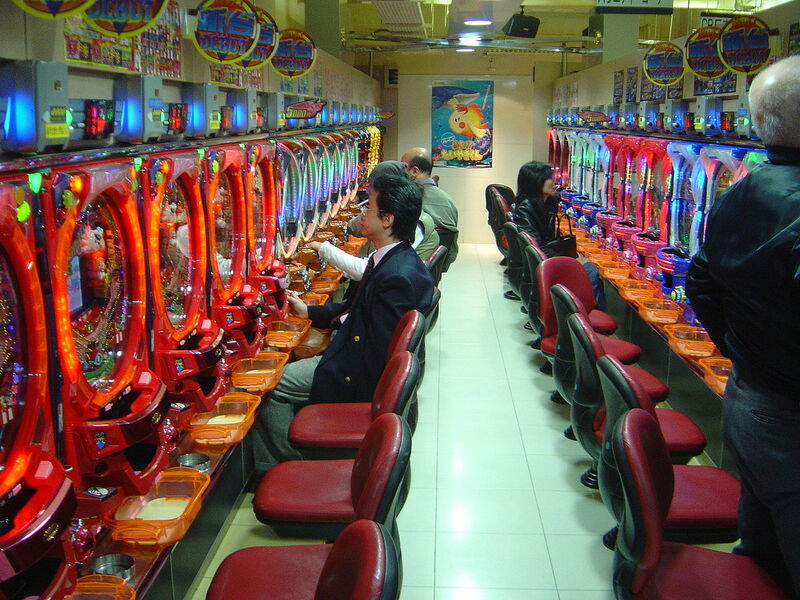 In the same way that Americans are drawn into casinos, many Japanese are addicted to Pachinko. The only difference being that multiple Pachinko parlors are in every city across Japan. It is well known that building space as well as energy are not cheap in Japan. Literally thousands of dollars have to keep flowing through these massive places each day to keep them operating. No doubt this has a great impact upon the spiritual well-being of many Japanese. How can these people be ministered to? Being from Montana one quickly becomes accustomed to seeing multiple casinos everywhere. I recall an old co-worker with four children going to gamble her paycheck away. This is a reality for many that we often do not think about. While living in Montana I used to pray over casinos near my house and leave gospel tracts in them. Here in Japan I am convinced that the same thing needs to be done. I have started by handing out gospel tracts to the people in line at the Pachinko parlor that I bike by every week. I have also started to walk in and leave gospel tracts in them as it is often too loud to talk to people. Just near my apartment there are four large parlors that I am aware of. Please pray for those addicted to this lifestyle. Also, consider the casinos in your own areas. Perhaps it is time to start praying for those people as well. Every small act counts.